I have been setting Goodreads to the side as I build my author platform, and even just writing this statement strikes me right in the oxymorons. Why? Because, people join Goodreads to talk about books, share books, review books, put books on their shelves, and promote books. Now that my first adult horror novel, "Girl Desecrated", is launched, I realize I should have been focused on this group of potential readers instead of trying to sift through Facebook and Twitter. You see, some people on Facebook like to read. Some people on Twitter like to read. But the 55 million Goodread members are an author's goldmine because everyone on the site likes to read. So, there's gold in them thar hills! Obvious step #1: Create an author page and load up a book. The Goodreads' initiative that created the most buzz for my book was a giveaway. The giveaways are for print books only, at this time. You pick your book, the start and end date of your giveaway, how many copies you're willing to part with, the countries participants can live in (how far do you want to mail a book? ), and a nice write-up to encourage entries. Add a little something special to sweeten the deal: an autographed copy, a custom book cover designed by you, or a gift that matches up with your novel's theme or genre. Offer more than one giveaway, switch up the length of each giveaway, choose different countries (if you don't mind the postage), the number of books, and when a giveaway ends. See an example here. Another way to drive attention to your book is through Goodread listopia lists. Readers create lists with themes that speak to genre, character, setting and more. Then they put a number of books in the list and readers vote. My novel is currently in "Fangs of the North: Vampires in Canada". Eventually, I hope some kind reader will put "Girl Desecrated" in "Best Paranormal & Fantasy Romances". My book only needs 1,500 votes to bump out "Twilight". Hey, stranger things have happened. The last neat way to embed your book into Goodreads is through quotes. You can create any number of quotes from your books or from your own words. For your novel quotes, pick those lines that speak to timeless experiences, or golden truths. Make sure you add "keywords" to your quotes to ensure they are searchable. Once you have a good line-up of quotes on Goodreads, you can use the Goodreads quote widget to put a box on your web site that refreshes with new quotes from your list. Another good tactic is to create trivia questions about your book, or about books in your novel's genre. These questions go into the trivia feed, which is "never-ending". The questions can act as hooks for your readers, and each question can be linked back to your book. This is also a lot of fun if you write about deeper issues or use literary techniques such as allusions to other texts. This is where you can deconstruct your own writing for trivia fun. See an example of a trivia question for "Girl Desecrated". One great feature of trivia is to have a justification appear after a reader answers. I love this for psycho tidbits on characterization and motive. Last note, after creating a trivia question, you can send it to a few friends to get it started. Create a new quiz here. There are many more great features on Goodreads like author interviews, creative writing postings, and videos for readings, full quizzes, and interviews and book trailers. 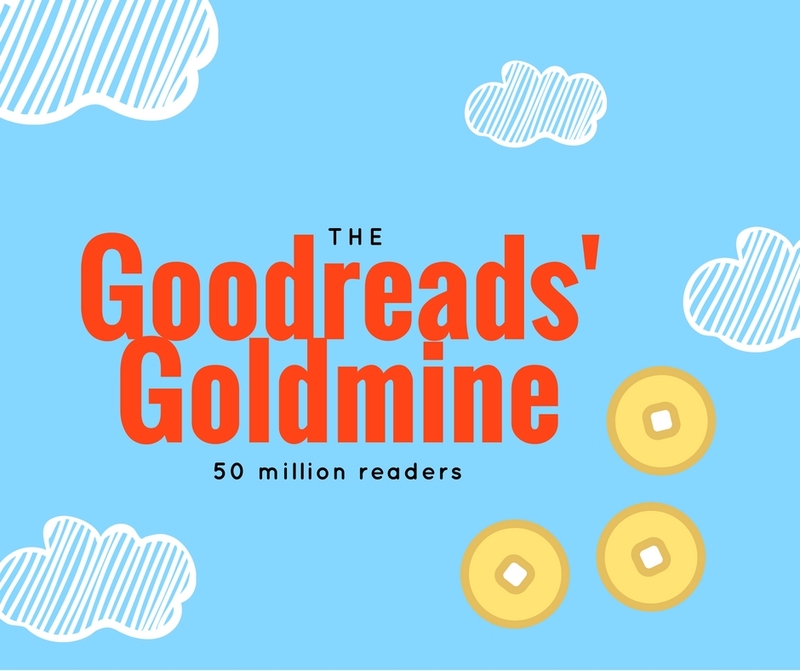 These are just a few ways to mine the gold in Goodreads and get yourself in front of a reading audience. Obviously, you want to increase book sales, but generating discussions, and encouraging potential readers to put your book on their "to read" shelf is valuable, too. 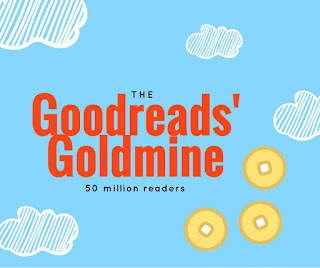 Start mining the nuggets in Goodreads, and tap into those 55 million readers who are waiting for the next great book.